Please call for quotes on all Rooter jobs! We specialize in sewer cleaning and repair services, including camera inspection and locating for detecting damaged or failing sewer systems. Contact us for information and price quotes over he phone. Rooter & Plumbing Service provides drain cleaning for any tub drain or shower stall drain. Contact us today for price quotes on all sewer and drain cleaning jobs. We DO NOT do re-pipe, remodel or renovation services. Our residential plumbing repair services are limited to sewer and drain issues at this time. Please call if you have any questions. 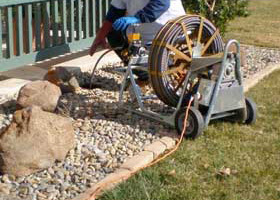 Rooter & Plumbing Service in Phoenix, AZ provides residential sewer and drain cleaning service at discount prices. Our internet special is for drain cleaning on any bath tub drain or shower stall drain. Call for quotes on all other drain cleaning and sewer cleaning jobs. We have been serving the Phoenix area for 20+ years. Call today for price quotes. We are only accepting Email inquiries through our Yelp page at this time. Fast, Same Day Quotes and Services! Call now and speak to a plumber who will understand your drain and sewer issues. We provide fast same day or next day service on most sewer and drain cleaning jobs. We have up to date equipment and the experience to handle even the most stubborn toilet, sewer or drain line stoppage problems. Call for free over the phone quotes on most sewer and drain cleaning jobs. We specialize in sewer line camera inspections and locating. We can repair or replace any sewer line after camera inspection and diagnosis of the problem sewer line. We are happy to give DIY advice on any plumbing repair job. We DO NOT do re-pipe jobs or work on remodel projects. 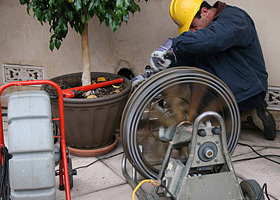 We DO NOT repair or replace water lines or gas lines. Thank you for reading our page, and please give us a call if you have any questions.